The Bone Season Giveaway (INT’L)! The Bone Season by Samantha Shannon is a must read book of 2013 – and I’m here to offer you the chance to win your very own copy! Synopsis: “It is the year 2059. Several major world cities are under the control of a security force called Scion. Paige Mahoney works in the criminal underworld of Scion London, part of a secret cell known as the Seven Seals. The work she does is unusual: scouting for information by breaking into others’ minds. Paige is a dreamwalker, a rare kind of clairvoyant, and in this world, the voyants commit treason simply by breathing. 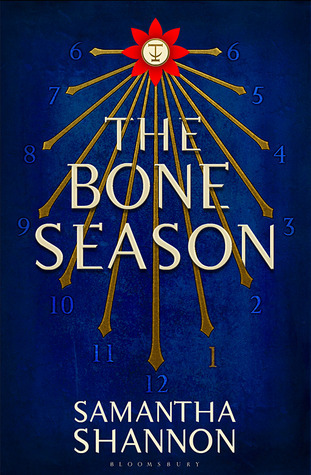 I gave this book 4 out of 5 stars, and you can read my review of The Bone Season by following that link. Proceed on to enter the giveaway!